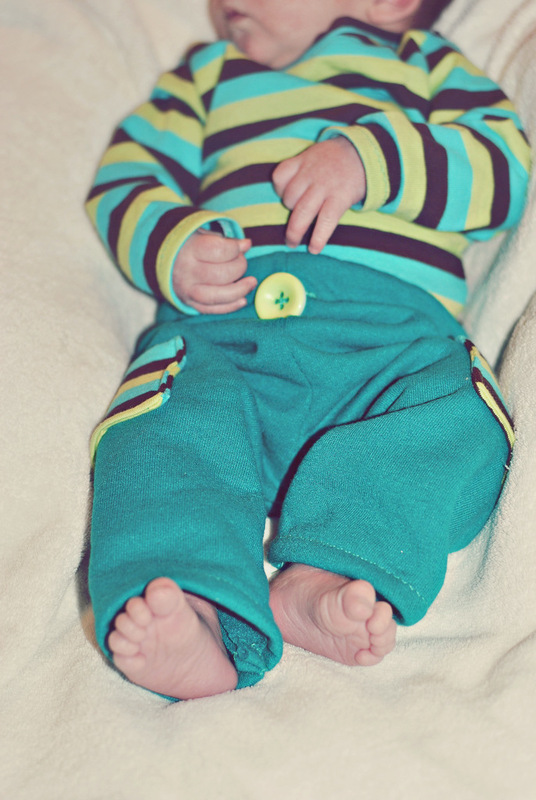 Today, my friend RaeAnna is sharing all about a sweet gift she made for Elliot! 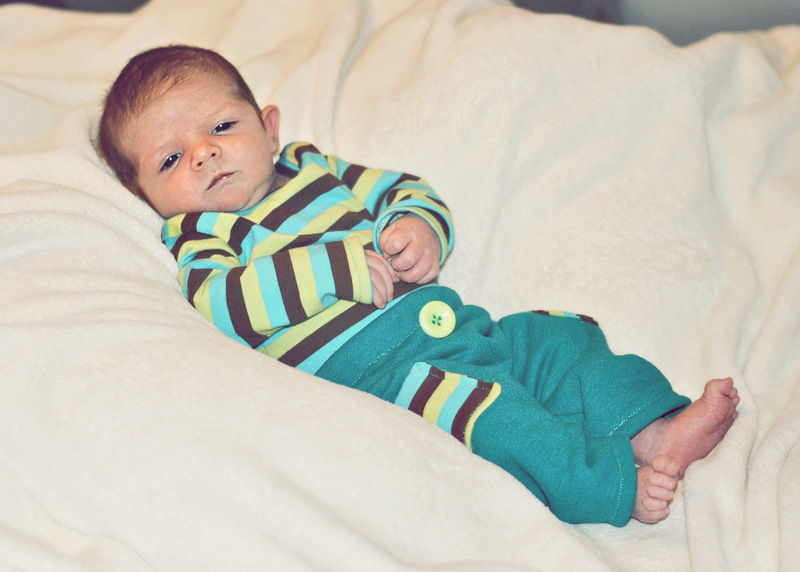 It's a bodysuit and pants set using the newborn line from Peek-a-Boo Patterns. RaeAnna is participating in a pattern tour, and she asked if I could take some photos of this little guy modeling the outfit. But, of course! I'm pretty sure he's going to be a male model someday. 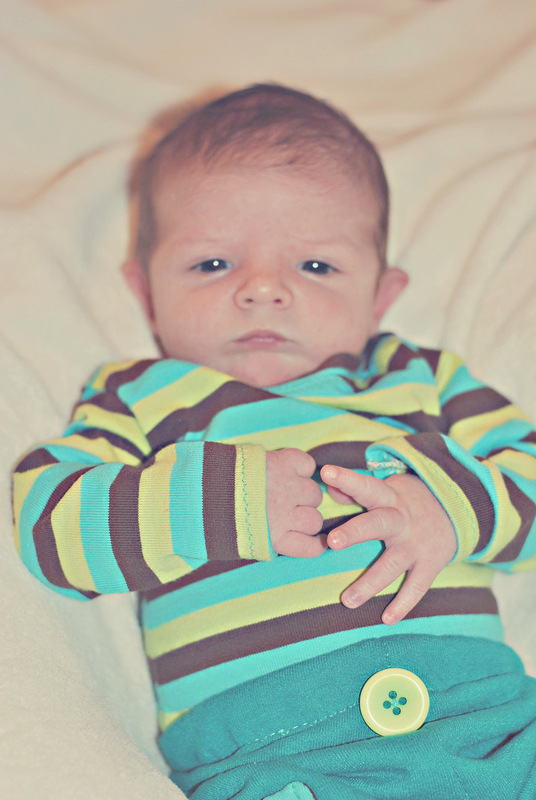 RaeAnna, thank you so much for the sweet outfit! 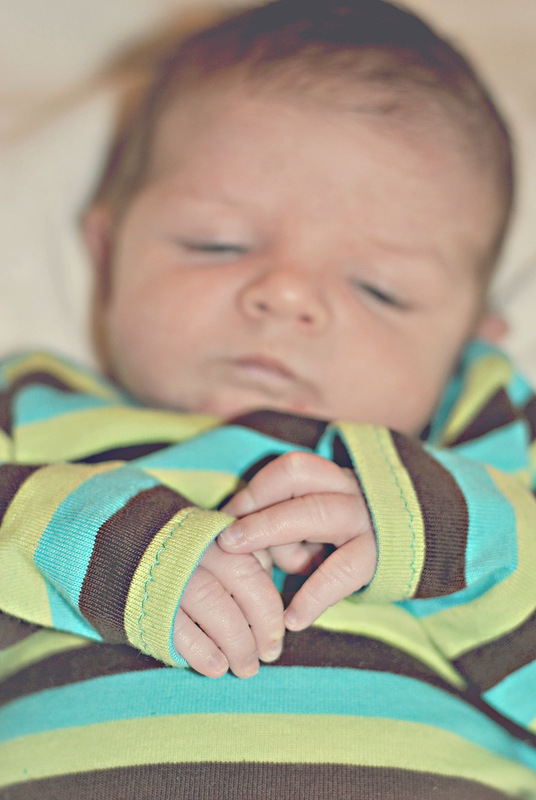 In other news, my friend Veronica took part in the pattern tour yesterday, so here is Elliot modeling his new Peek-a-Book Pattern Shop Sleep Sack! Everything is adorable. I just wouldn't have put that big button on the pants, thinking the baby would be uncomfortable when he lays on his tummy. oh my goodness, he's so CUTE! and that outfit is so sweet too. Looks like you have your very own little model! I'm really digging the big button on those pants. Gives it a little something extra without making the baby uncomfortable.